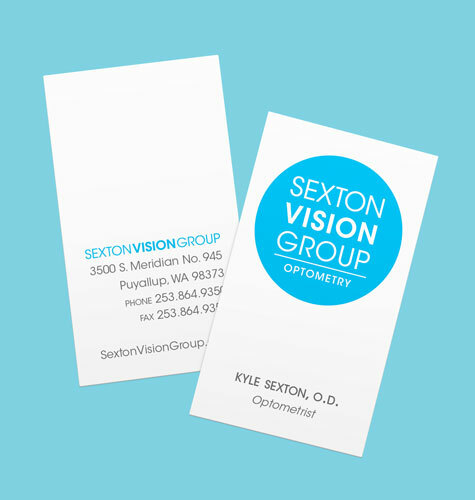 Sexton Vision Group is a small optometry practice with offices in Puyallup, WA. 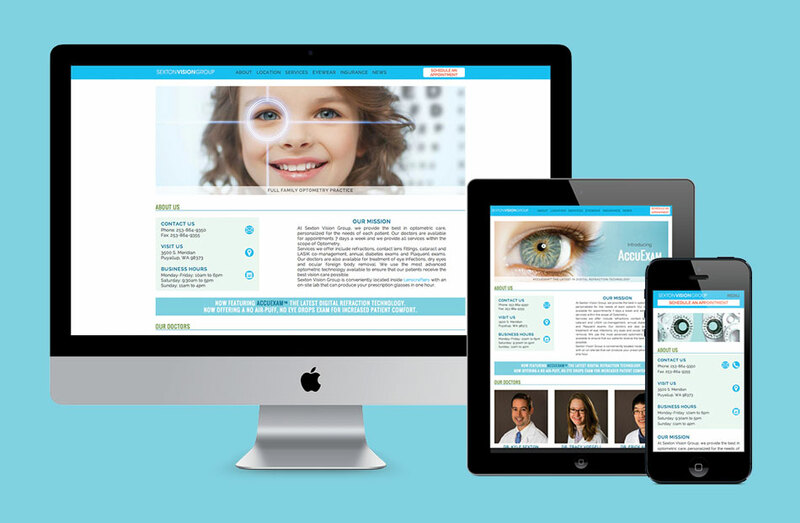 They provide excellent vision care for their patients using advanced eye care technologies and wanted branding and a redesigned website to match. The overall look and feel of both the branding and the website is modern and professional while still friendly and trustworthy. 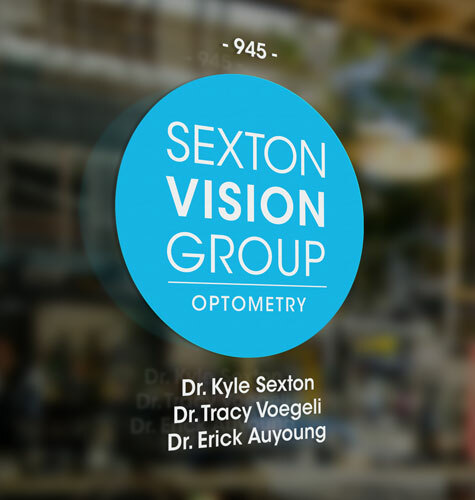 The doctors at Sexton Vision Group wanted a logo that was clean but also bold and vibrant. They wanted to stay away from the abstracted eye graphic that is common in so many optometry logos while still having their logo be relative to the human eye. 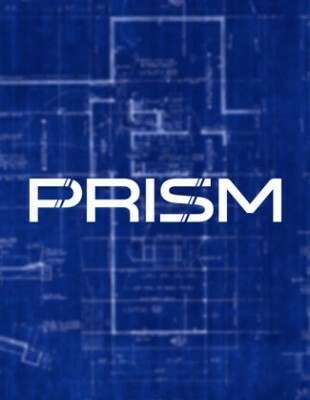 The final logo has two variations – the main circular logo and a secondary text-only horizontal logo. 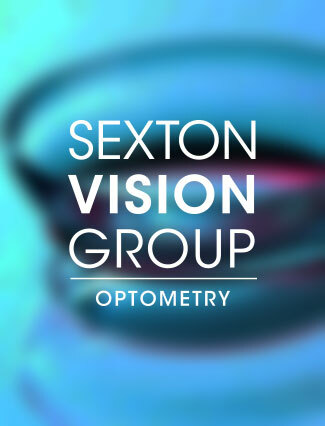 The original website for Sexton Vision Group had content spread across multiple pages, often with not much information on each page. 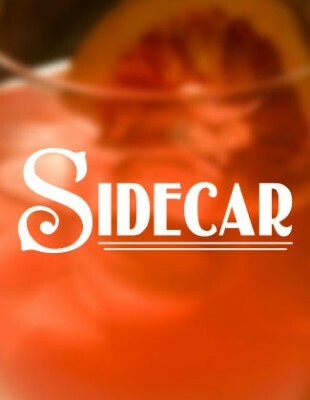 To streamline the experience for visitors to the site, all of the content was moved to a single front page with secondary pages only for the blog and contact page. A fixed header allows patients constant access to the button for scheduling an appointment and contact information is “above the fold” on all screen sizes, allowing patients to quickly get the content they most want. 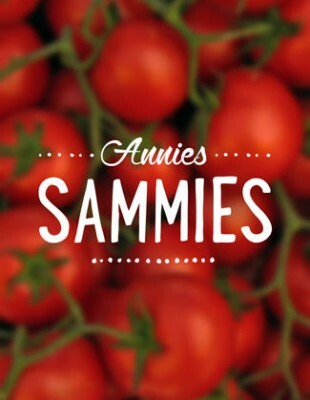 A feed of recent posts from the blog improves SEO by having regularly refreshing content on the home page. 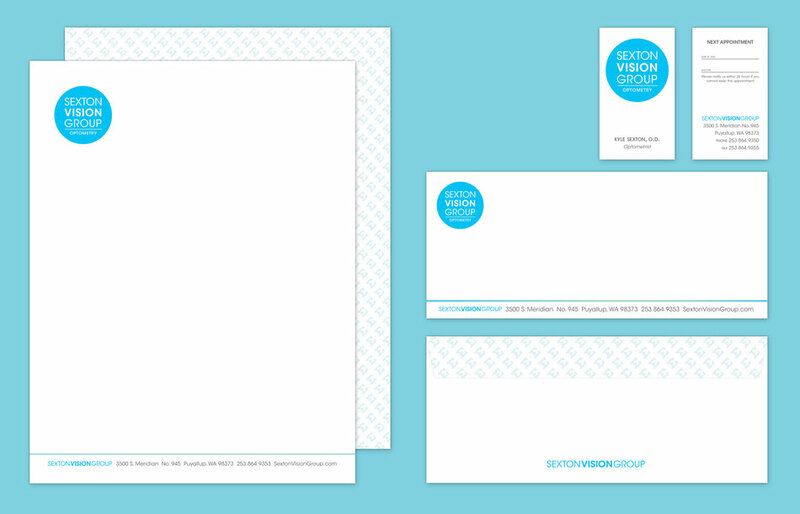 The identity suite for Sexton Vision Group included letterhead, business cards for the doctors, general purpose appointment business cards and exterior signage for their offices.